FIGURE 8: Endonuclease protection assay. (A) A schematic representation of endonuclease protection assay in (i). 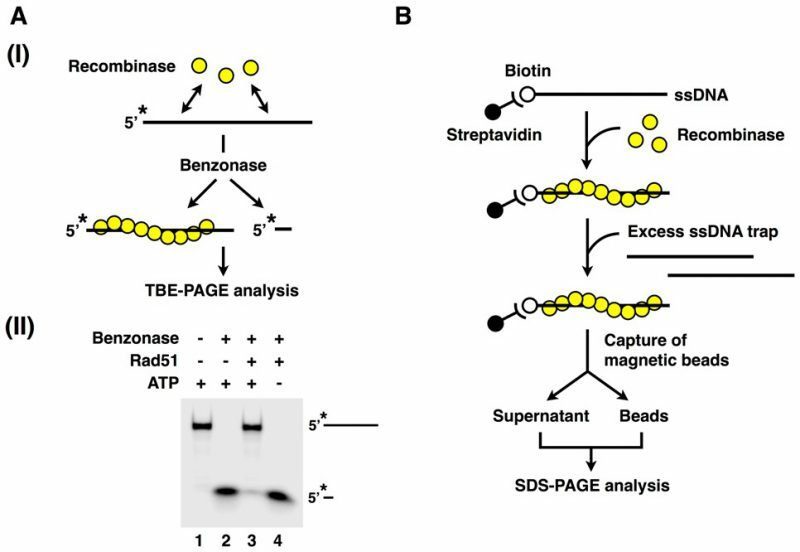 Assembly of S. cerevisiae Rad51 filaments was analyzed with ATP or no nucleotide as cofactor in (ii). (B) Schematic of biotinylated-ssDNA bead-based assay.